To add a match fee payment, follow the steps given below. 1. Navigate to the Teams option in the Navigation Menu. 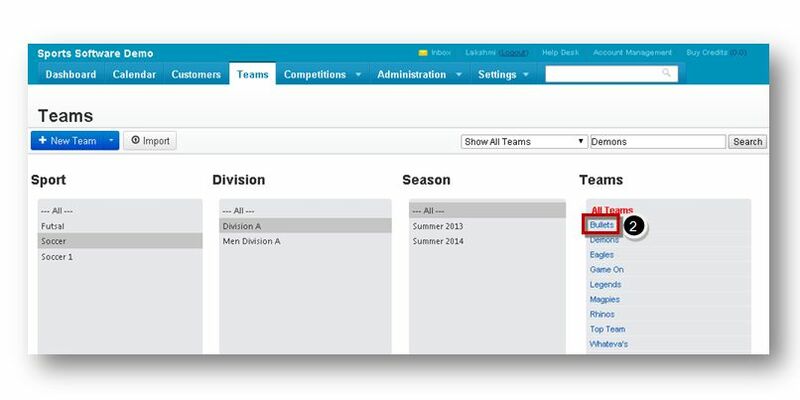 The Teams page will be displayed. 2. 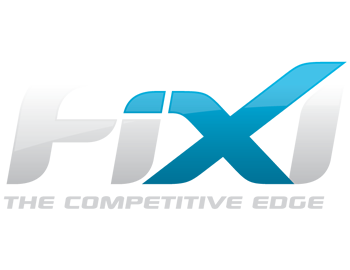 Click the name link of the team that you wish to edit from the All Teams List. The Team Overview page of the selected team will be displayed. 3. Navigate to the Financials tab. The Financials page will be displayed. 4. Select the Match Fee Payment option from the Functions drop down list. 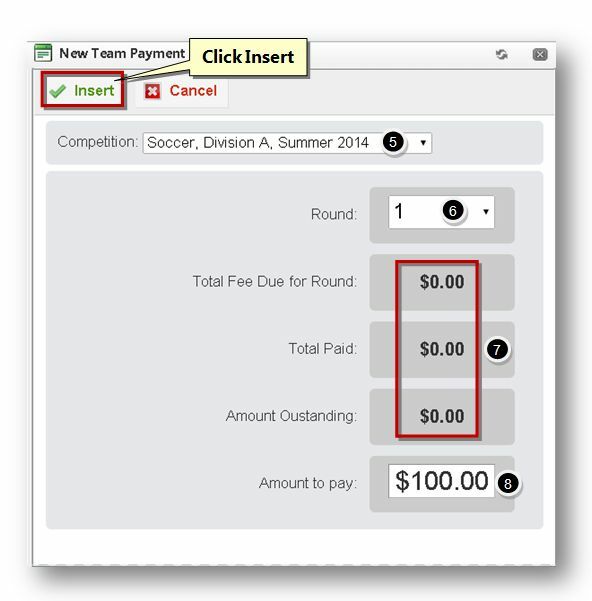 The New Team Payment dialog will be displayed. It has the following fields. 5. 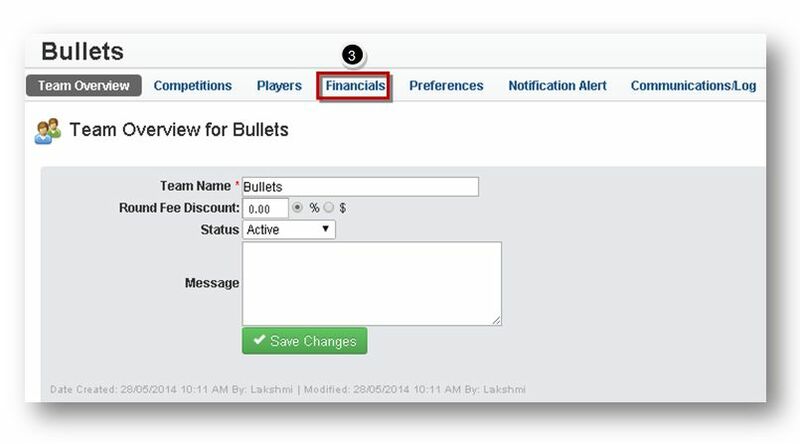 Select the competition to which the team financial is referred to, from the Competition drop down list. 6. Select the competition round from the Round drop down list. 7. The Total Fee Due for Round, Total Paid and Amount Outstanding fields are automatically populated based on the Competition and Round you selected. 8. Enter the fee amount to be paid in the Amount to Pay text entry box. 9. Click the Insert button. The new team payment will be added.